G-SPECT equipment is being developed for human use. Clinical availability depends on final local (pre)market approval, including FDA and CE approval. The shown equipment is not yet for sale as a clinical device. 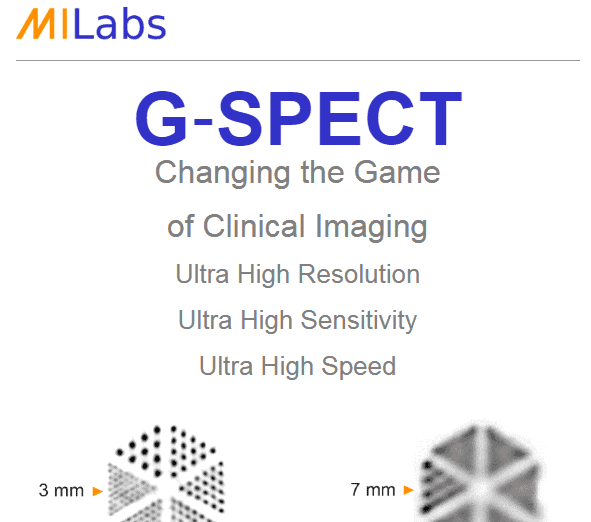 Please contact MILabs via g-spect@milabs.com for availability in your region.